Our first ever Wareable Tech Awards are done and dusted. 200 tech founders, executives, designers and invited journalists attended our bash at the historic Shoreditch Town Hall in London's Tech City. Let us know what your Awards line-up for 2016 would have looked like in the comments below. The new Apple Watch Series 2 smartwatch took two gongs, Smartwatch of the Year and the prized Wearable of the Year at the end of the night. For answering the critics over what a smartwatch can do and creating a truly desirable wearable with the features to match, the Series 2 won our first major Award. This is now a refined smartwatch experience thanks to watchOS3, and a truly useful wearable with GPS, fitness and swimming features and a design still knows how to make a statement. Garmin's do-it-all Vivosmart HR+ won the highly contested Fitness Tracker of the Year Award while Fitbit's Charge 2 tracker was named Highly Commended. Not only is the Vivosmart HR+ an awesome all-in-one with alerts, GPS, heart rate and activity tracking, it's also one of the highest rated wearables on the site with a 9/10 rating - impressive. The Moov Now beat stiff competition from the likes of Garmin and TomTom to take home the Sports Wearable of the Year Award. The Moov Now is an innovative wearable coach that's affordable, geared towards helping you be better at the sports you love and embodies exactly what wearable tech should be all about. In a varied shortlist including everything to gym accessories to golf wearables, it was the TomTom Spark 3 sports watch that made the cut for Highly Commended. Withings Health Mate was our Health & Fitness Platform of the Year winner - it's a slick, do-it-all health platform for iOS and Android that brings together steps, heart rate, blood pressure and weight into an overall picture of your health. We're also really looking forward to the Withings Steel HR which didn't arrive in time for the Awards. Now, Jawbone UP has been a little quiet on the hardware front but we're impressed enough with its tracking, sleep and coaching software for it to bag the Highly Commended in this category. The HTC Vive was named VR Headset of the Year, despite strong competition from the Highly Commended Sony PlayStation VR. The Vive is experimental, incredibly immersive and genuinely mind-blowing to VR newbies thanks to superb room scale tracking, high quality games and handheld controllers. It's simply the best VR experience you can get right now. Valve's The Lab picking up the VR Experience of the Year award. Incidentally Valve has put a lot of energy into getting developers to make quality VR games and experiences. Its own series of experiences is simply the perfect introduction - when you can get lost for half an hour in a virtual menu screen, you know you're onto something special. Highly Commended was something a little different, the new Batman: Arkham VR for PlayStation VR from Rocksteady Studios. A must download for PS VR owners. Fossil Group bagged Fashion Tech Collection of the Year for its connected designer smart analogue watches, connected jewellery and smartwatches across brands like Diesel, Michael Kors, Kate Spade and Armani. In a similar vein, Fitbit bagged the Highly Commended for its customisation options this year including gold versions of the Alta and Blaze plus collaborations with Public School, Tory Burch and Vera Wang. The Bragi Dash was named Hearable of the Year. It kickstarted a year of tech companies working to put computers in our ears. And with its own heart rate tracking and music storage built-in, Bragi hasn't stopped improving its hearable, and there's now an an IBM Watson partnership to look forward to as well. Highly Commended went to the new Sony Xperia Ear which keeps things more simple than some hearables but does in-ear assistance very well with good audio, reliable connections and useful voice interactions. Amazon Echo (& Alexa) took Smart Home Platform of the Year for its Echo and Echo Dot devices and voice assistant Alexa's integration with just about every device in your home. If you're looking for something to tie everything together, this could very well be the answer. Elsewhere, Hive got the Highly Commended nod for its comprehensive Hive Active system of smart thermostats, sensors and lights. It was a big night for wearable tech names you might not have heard of too. New York based smart fabrics studio Loomia picked up Startup of the Year for its textile circuit technology which will be powering the smart clothing of the future. Doppler Labs which makes the exciting, audio augmenting Here Active Listening and Here One earbuds was our Highly Commended startup for 2016. The Saves The Day Project of the Year - our category focusing on tech for good initiatives - went to Fitbit Group Health for the role Fitbit trackers have played in over 160 clinical studies. Our runner up for Saves The Day is Technology Will Save Us for its fun new Mover Kit wearable which will get kids building, coding and moving. 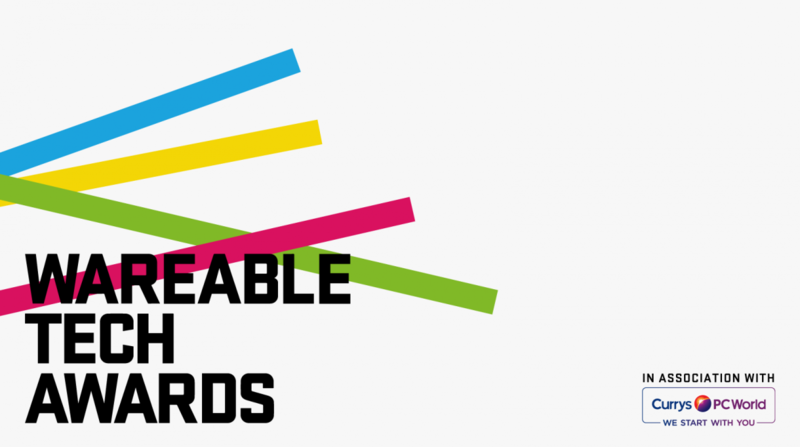 Congrats to all the Wareable Tech Awards 2016 winners for this year. Let us know which you agree with and which ones you think we got wrong in the comments.